CLARK COUNTY — If things go well, the cleanup at Camp Bonneville could be done within the next two years. “It’s amazing to me that we’re almost at the end,” said Jerry Barnett with Clark County Public Works at a council work session this week. Barnett has been working on the Camp Bonneville project since 2006, which gives you an idea of why two years seems like a short amount of time for the long-running project. 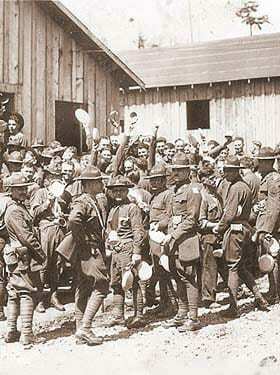 Camp Bonneville was used as a Military Reservation site between 1909 and 1995. During that time, live-fire exercises left behind thousands of unexploded munitions and created hazardous toxic lead conditions in the site’s Central Impact Target Area. In 1995 the base was decommissioned by the Army and the county began work to take over ownership of the site in 2001, but the effort ultimately failed. 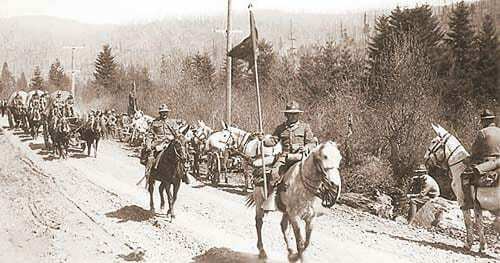 In 2006 a non-profit known as the Bonneville Conservation Restoration and Renewal Team (BCRRT) formed. 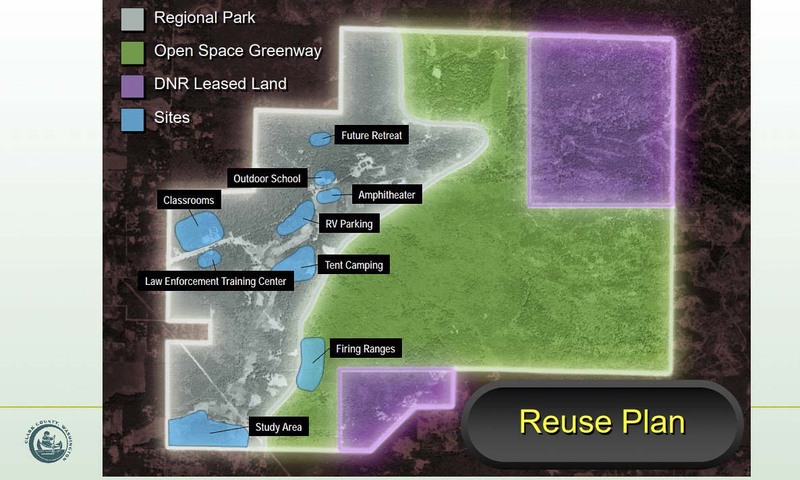 Ultimately they were able to take over ownership of the 3,840-acre site, with an agreement that the deed would be transferred to the county when cleanup was completed. In 2010, the county took over ownership when BCRRT dissolved amid scandal, including $150,000 in questionable expenses. Cleanup resumed with a new contractor later that year. The scale of the cleanup effort ultimately was much larger than the Army anticipated, ballooning the overall project budget from $23 million to an expected $72 million now. Funding for the cleanup, while being overseen by the county and the Washington Department of Ecology, is coming from the military. Once cleanup is done, however, it will be up to the county to find funding for redevelopment of the site. Cleanup has been split into four phases, two of which have been completed. Phase 3, which includes expanding and clearing the Central Impact Target Area, is about 40 percent complete. “We’re doing a surface clearance, and we’re expanding the CITA up to the north and adding a road around the perimeter for maintenance of the fence and signage,” says Barnett. It’s expected the road could be completed by next June. After that they’ll move on to phase 4, which focuses on clearing the western slopes area of the site. Barnett says the western slopes area is where, most commonly, weapons were fired from, towards the central target area. That means they don’t expect to find much in the way of unexploded ordnance in that area. While cleanup is likely to still go on at Camp Bonneville for at least a couple more years, the county is hoping to move ahead with a master plan for the site. A large central portion of the property will likely never be open for public use, due to the continuing risk of unexploded munitions, but much of the western side of the area could be re-developed. Under the deed agreement with the U.S. Army, there are some restrictions about what Camp Bonneville can be used for. For starters, no residential development can happen there. Any digging for buildings outside of existing footprints would need to be overseen by explosives disposal experts. There are also restrictions on groundwater usage, due to concerns over lead contamination in the soil. 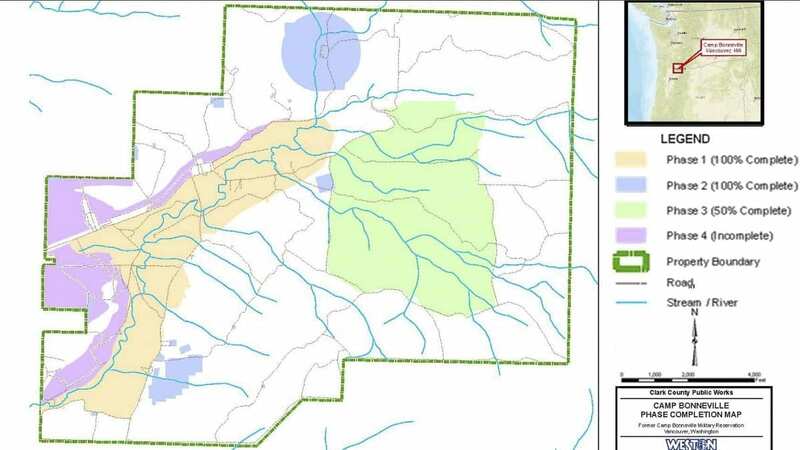 “If they determine that it’s not being used in a way that protects natural resources and in line with the intended re-use, it’s at their sole discretion they can take the property back,” says Barnett. 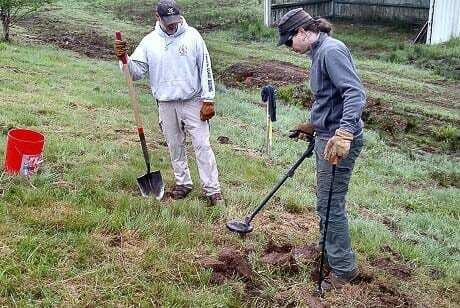 Under a 2005 reuse plan adopted by the county, they envisioned the site being used for a variety of potential uses, including Department of Natural Resources land, and open green space where development wouldn’t be possible due to the potential of unexploded ordnance. 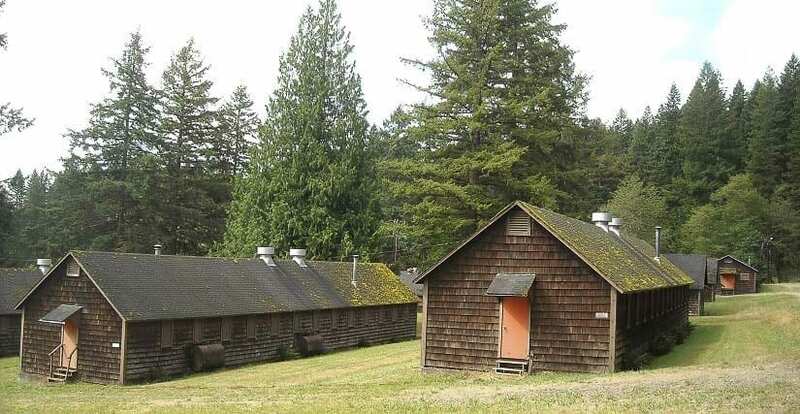 But the property’s western side could be home to an outdoor school, classrooms for Clark College, a law enforcement training center, amphitheater, RV part, rustic retreat, firing ranges, and possible tent camping sites. The biggest question will be how to pay for the redevelopment of the site. While timber harvesting does bring in around $600,000 to $1 million a year, that won’t be sustainable long term. There are a myriad of grant funding opportunities available, as well as the option of creating a Metropolitan Park District, or charging park impact fees. The most intriguing prospect could be a public-private partnership, similar to ones in use at Portland International Raceway, Holladay Park, or The Lodge at St. Edward Park in Washington state. The options at Camp Bonneville could include partnering with a new or existing non-profit, hosting private gun clubs or a gun range developed and maintained by the Clark County Sheriff’s Office or FBI. There’s also the option of a mountain biking trail system, equestrian trails, or even a high-ropes or challenge course that could be privately managed. The council will need to adopt a set of guiding principles, which will likely be similar to the seven principles adopted for the 2005 reuse plan. Those include making the site self sustaining, locally focused and directed, and able to address the needs of the community without impacting surrounding neighbors. Following that, a committee will likely be formed to come up with options for a master plan for the site, followed by public input, a community planning phase, before eventually being adopted by the Clark County Council. While cleanup is expected to take several more years, Bjerke says it’s possible that development could begin before that process is done, which is why they’re hoping to get a master plan completed before cleanup is finished, so that funding sources can be identified and a possible partnership with a private company drawn up.